The 150th anniversary of Little Women by Louisa May Alcott is on September 30th, 2018. Originally released in 1868, this classic novel has captivated readers for over a century. To celebrate, Pinnacle Peak is releasing LITTLE WOMEN starring Lea Thompson as a modern movie adaptation of the beloved book on Friday, September 28th, 2018. Lea Thompson portrays Marmee in the film that features a talented cast, including Lucas Grabeel and Ian Bohen. LITTLE WOMEN tells the story of the same beloved sisters to a new generation. Celebrating dreams, family and unconditional love. 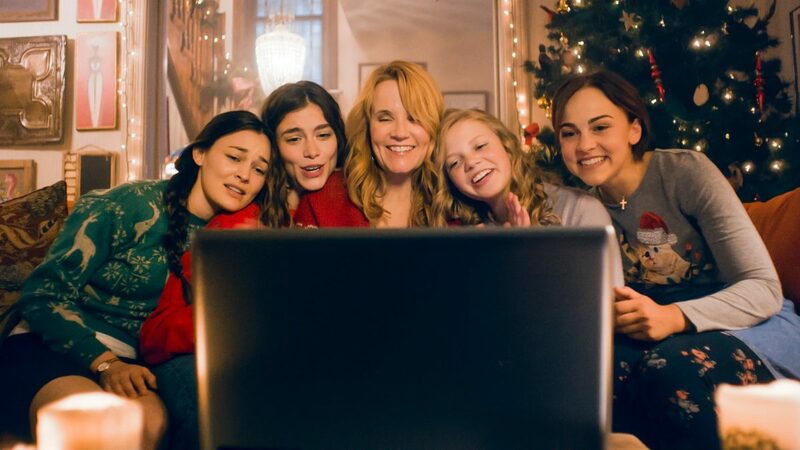 In conjunction with the release of LITTLE WOMEN, I’ve been given a digital copy to screen and review but before I release my review I have an opportunity for you to get tickets to see the movie in theaters. Just comment below and let me know if you’ve read the book. 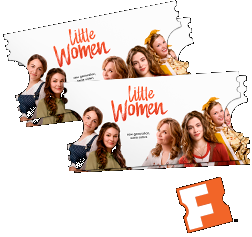 I’ll pick someone on September 24th, 2018 and send them a digital e-gift card good towards the purchase of tickets to Little Women. Note: the winner has been chosen. Disclosure: I received 2 $5 in Starbucks gift cards, a “swag bag” which includes a zipper pouch, packet of tissues, compact mirror, and a pen plus the value of two movie tickets in exchange for hosting this giveaway and my honest review of LITTLE WOMEN. =D I read the book in Spanish when I was a young girl and once again as a teenager. I recently found out that there were some sequels so I bought a beautifully illustrated edition of all the books in their original language. I am very excited about this film, specially because it features two of my favourite actors. I haven’t read the book but I saw the movie with Winona Ryder. You were chosen to receive the tickets. I will email you shortly. Yay! Thank you! I replied to your message. This was my favorite movie growing up! Can’t wait to see it! I have read the book. this movie looks really good. Thanks for the giveaway. I haven’t read the book but I saw the 1994 film and plan to see this one. Thanks for the opportunity! I read the book several times when I was younger. One of my favorites! I haven’t read the book, although I’ve always meant to. I did see the movie with Susan Serandon. I read the book a long time ago. I loved the book and original movie. I’m excited for the new movie. Yes I’ve read the book. When I was in grade school I read the book at least a dozen times. I have read the book…a long time ago! 🙂 It will be interesting to see a modern take on the story. I did read the book, a long time ago in high school!